Tuesday’s action at the 2018 World Series of Poker saw an exciting final table set up for tomorrow, as well as a defending champion put on a strong title defence by making a Day 3. Here’s all you need to know from Tuesday (June 5). There may not have been any bracelets handed out on Tuesday, but the closest event to reach its conclusion is Event #9: $10,000 Omaha Hi-Lo Eight or Better Championship, which is down to a six-handed final table. Its none other than three-time WSOP bracelet winner Eli Elezra who holds a massive chip lead over his fellow finalists. Elezra began Day 3 as chip leader, and it looked like his day was smooth sailing, ultimately ending with 2.7 million. Adam Coats comes in second in chips with 1.82 million, followed by two-time bracelet winner Paul ‘paulgees81’ Volpe. Volpe won a huge pot against Felipe Ramos during the course of action, when he rivered the nut straight forcing Ramos to muck. Ramos would make a 17th-place exit not long after, falling with two pair to the nut straight of Elezra and Mike Matusow. Kyle Miaso (1.275 million), two-time bracelet winner Viacheslav Zhukov (910,000), and Dustin Dirksen (140,000) round out tomorrow’s final table. Dirksen will need a lot of help to ladder up, coming in with less than three big blinds. Aside from Ramos, plenty of big names departed on this Day 3. Lars Gronning, Daniel Alaei, Scott Bohlman, Nikolai Yakovenko, Chris Bjorin, Mike Gorodinsky, Dylan Linde, Talon White, Steve Chanthabouasy, Jesse Martin, Per Hildebrand, and Dan Zack all went deep but couldn’t find a bag. The last to leave today was Robert Mizrachi. 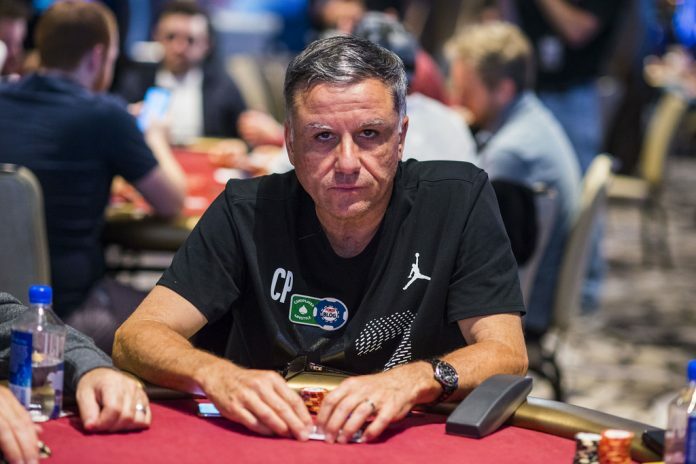 The four-time bracelet winner became final table bubble boy after getting it in with a huge draw in a three-way pot versus Elezra and Volpe, but failing to hit. One of the two new events to get started on Tuesday was Event #13: Big Blind Antes $1,500 No-Limit Hold’em, and the format preferred by the high roller world proved very popular at a lower buy-in level too. A total of 1,306 players took a shot in this event, but after ten levels just 224 bagged up chips. Stephen Song was the most successful during that time, building a big stack late in the day and ending with 193,100. Arguably though, its 2016 WSOP Main Event Champion Qui Nguyen who will grab the most headlines, as he finished third in chips with 155,100. Dutch Boyd (151,700) and Vojtech Ruzicka (128,800) also bagged top ten stacks. 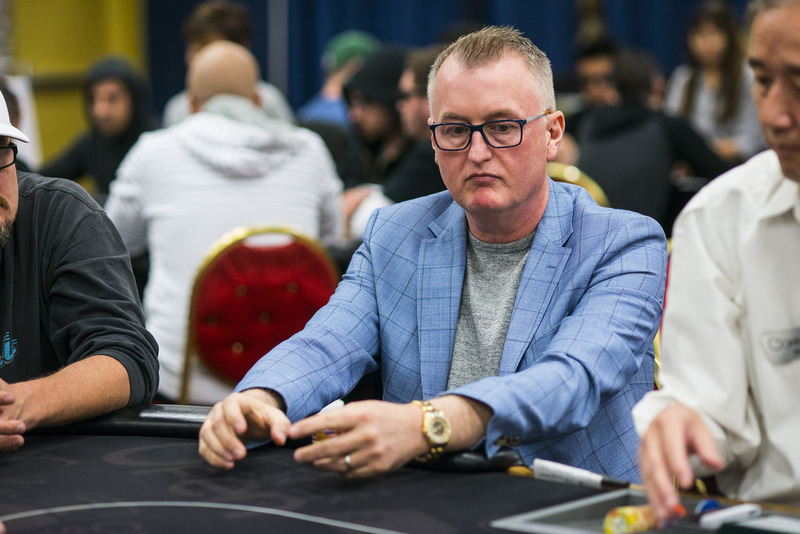 Other big names advancing to Wednesday’s Day 2 include Romain Lewis (83,300), bracelet winner Ankush Mandavia (73,600), Chance Kornuth (62,800), Jeff Gross (60,300), Alexander Lynskey (55,000), four-time bracelet winner Jeff Madsen (51,600), and six-time bracelet winner Chris Ferguson (15,500). They’re approaching the bubble with 196 players making the money. A min-cash is worth $2,254, while the winner get a healthy $315,346. Play kicks off again at 12pm. There’s a whole lot of talent set to return for the third and final day of Event #12: $1,500 Dealer’s Choice 6-Handed. A total of 120 players started, but now just 15 remain. Its Jeremy Harkin who comes into Day 3 with the chip lead, bagging up 502,500. He took down an enormous pot versus Chris Klodnicki where he held the nut straight versus Klodnicki’s set. The board didn’t pair on the river, and the 500K pot was shipped Harkin’s way. Klodnicki is still alive though, ending play with 136,000. Other bracelet winners still alive are Chris Bolek (122,500), six-time winner Jeff Lisandro (137,000), two-time winner Chris Vitch (143,500), four-time winner John Hennigan (169,000), Mike Leah (227,000), and two time winner Frankie O’Dell (373,000). And let’s not forget actor James Woods, who bagged a top 10 stack (170,500). Plenty of players departed during Day 2, the most notable of which include Mike Ross, Layne Flack, Jake Schwartz, Mike Sexton, John Monnette, Manig Loeser, Martin Staszko and Allen Kessler. All 15 players are guaranteed a $5,238 payday. However, $129,882, the bracelet, and the glory will be go to the eventual champ. You can find out who that is when play resumes at 2pm Wednesday. A field of 260 runners has been whittled down to 56 after the opening day of Event #14 $1,500 No-Limit 2-7 Lowball. Its James Alexander who will sleep best tonight after navigating his way to a overnight chip lead of 80,850. Everyone will be keeping an eye on defending champion Frank Kassela tomorrow though. A solid day’s work sees him return to a stack of 30,225, in the hunt for his fourth bracelet. Other former champions in this event, Steven Wolansky, Christian Pham, and Ryan D’Angelo, will also be back for more tomorrow. There are plenty of other notables still in contention, with Shaun Deeb (77,400), Michael Gathy (59,500), Robert Mizrachi (47,900), Mike Wattel (39,475), Jesse Martin (34,825) Greg Raymer (17,575), Anthony Zinno (14,000), Andrew Kelsall (70,225), Maria Ho (42,500), Jon Turner (29,550), Roland Israelashvili (24,425), Jameson Painter (11,675), and Joao Vieira (8,775) to name a few. First place in this one is $87,678, but first they’ve got to burst the bubble. Just 39 of them will make the money, with a min-cash worth $2,276. After six starting flights, the entire field of the Event #7 the $565 COLOSSUS No-Limit Hold’em was merged for the first time today for Day 2. There 539 players still in contention when the day began, but when all was said and done just 33 remain. Matthew Causa leads the pack with 4.41 million, but he’s closely followed by Thai Ha with 4.095 million. Other notable stacks still alive include Paawan Bansal (3,435,000),Sang Liu (3,339,000), Matt Silva (3,385,000), John Racener (3,010,000), Timothy Miles (2,695,000) and Day 1E chip leader Kurt Jewell (2,260,000) just to name a few. Of course, where there are survivors there must be casualties. Phil Ivey fell to the sidelines today, as did Matt Affleck, Michael Gagliano, and Valentin Vornicu. There are two new events that will be starting on Wednesday. The one we’re most looking forward to is Event #16: $10,000 Heads-Up No-Limit Hold’em Championship. The event, which has been won by the likes of Adrian Mateos (2017), Alan Percal (2016), Keith Lehr (2015), Davide Suriano (2014), Mark Radoja (2013), and Brian Hastings (2012), kicks off at 3pm with a 512-player maximum. Expect the game’s best and brightest to be in for this one. We’ve also got Event #15: $1,500 H.O.R.S.E. starting at 11am.